After a long (but worthwhile) wait, Emacs 26 is finally here. I have annotated the NEWS file, as always, with any insights or opinions that I might have. New to my website? I’ve collected a few articles to get you started below. Running Shells in Emacs: An Overview If you want to know more about using Emacs as a terminal emulator or to run Shells, this is a great place to start. I cover Shell Mode, a wrapper around shells such as bash; EShell, a fantastic shell written entirely in elisp; and ANSI Term, a complete terminal emulator. Introduction to IDO Mode The default completion mechanism for buffers and files is terse and not very user-friendly. IDO Mode makes finding files and buffers a breeze because it suggests completion entries as you type. Complete Guide to Mastering EShell If the idea of using an all-Emacs shell is alluring then you must read my article on mastering EShell. It tightly integrates with Emacs and has a wealth of interesting features. Mastering Keybindings Binding keys in Emacs is not easy if you haven’t done it before, but in this article I will walk you through all the many ways of doing it: how to bind keys to particular modes and globally and a selection of templates you can use for your own init file. Introduction to Magit With the advent of Git the time people spend on tinkering with their source control has greatly increased, and Magit is a total replacement for managing your Git workflow inside Emacs. 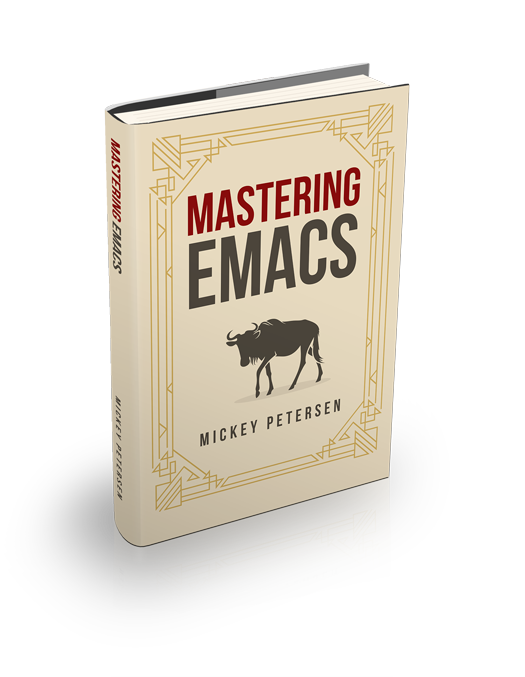 The Mastering Emacs Reading Guide My reading guide will help you get the most from my blog and the most from Emacs. I highly recommend you read my guide.